Beauty and makeup ideas have always been heavily influenced by the ebb and flow of trends. With social media sites like Instagram on the rise, looks and inspiration are becoming more and more accessible to more people than ever before. 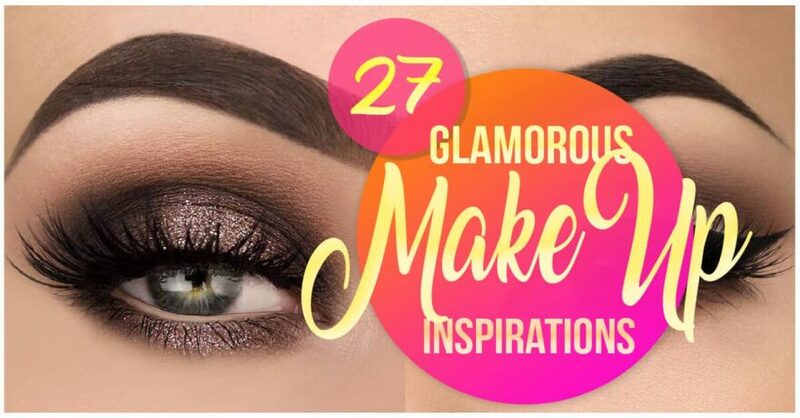 People are now able to share their stunning makeup looks with the entire world, sparking inspiration for makeup lovers everywhere. These makeup ideas and looks have become increasingly popular, creating never before seen trends and taking beauty to a whole new level. 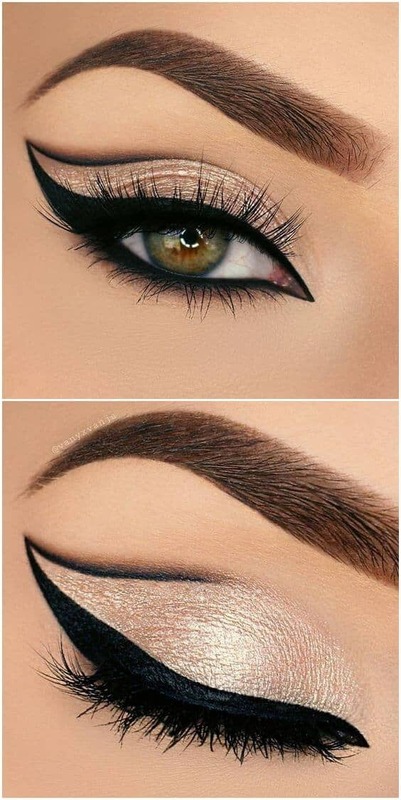 A bold and dramatic cat eye is paired with subtle gold shadow to add shimmer to this timeless look. Outlining the gold with a delicate line of black creates a unique and beautiful version of a classic look. A classic cat eye look is paired with soft neutral shadows that get darker in the crease of the eye to add dimension. 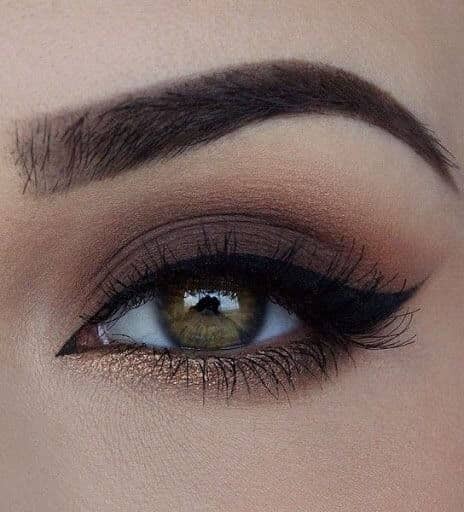 Adding the dark brown shade to the lower lash line brings the entire look together. 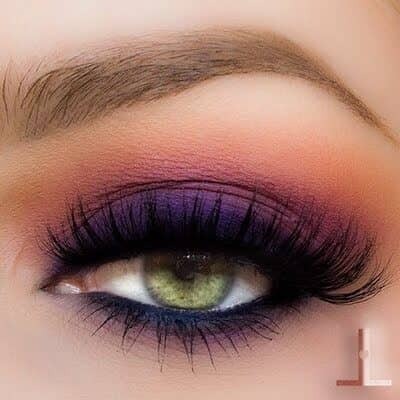 Bold royal purple is the star of this colorful smokey look which also features dramatic lashes. 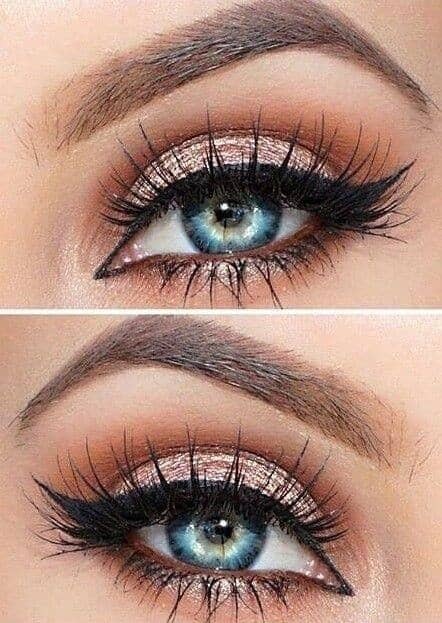 A hint of shimmer at the inner corner brightens up the entire look, making it both glamorous and playful. 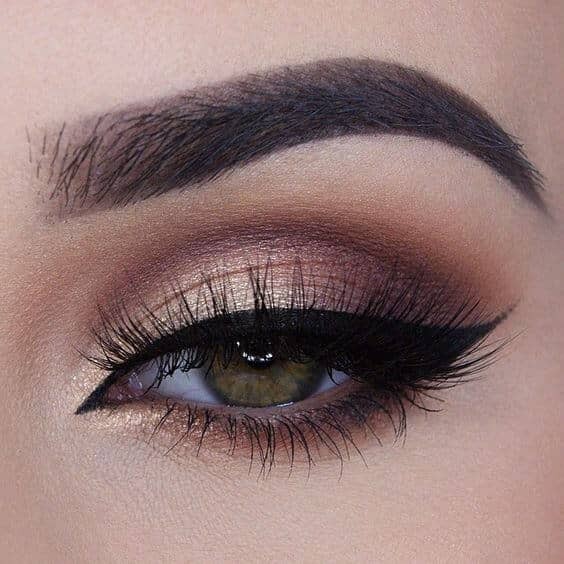 Rose colored shadow adds a twist to a classic cat eye look, creating a softness and warmth. Pink is a good choice for anyone who wants to add subtle color without keeping it neutral. 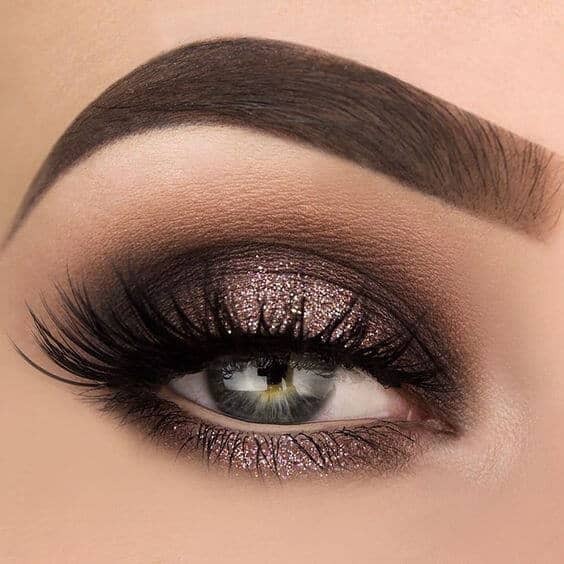 This bold smokey eye uses violet shadow and navy liner in high contrast with bright silver underneath the lower lash line. 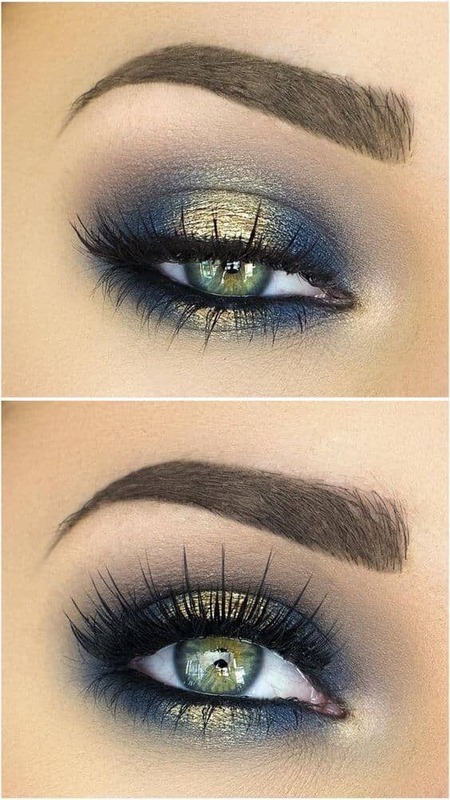 This is a dramatic twist on a classic smokey eye that is an absolute treat to look at. This beautiful and colorful look features violets, magentas, and oranges blended together in a way reminiscent of a coastal sunset. Navy liner adds a sophisticated touch without taking away from the brilliant colors. The classic cat eye is enhanced by the use of subtle shadows in the crease of the eyelid. 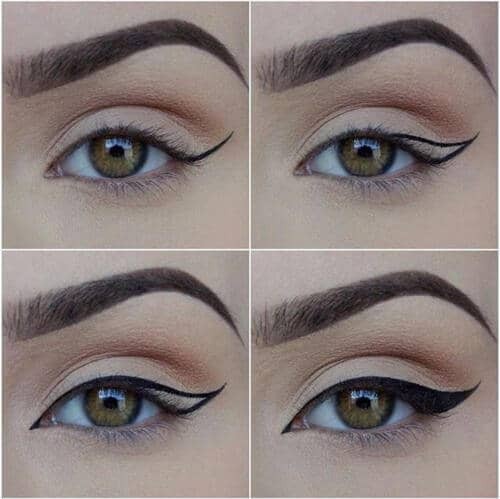 The cat eye is a beautiful look that elongates the eye and can highlight anyone’s natural eye shape. Subtle lavender hues combine with peace golds to create a look that is soft and sweet without being too bold. The black of the cat eye contrasts beautifully with the subtle color, creating an effortless look. 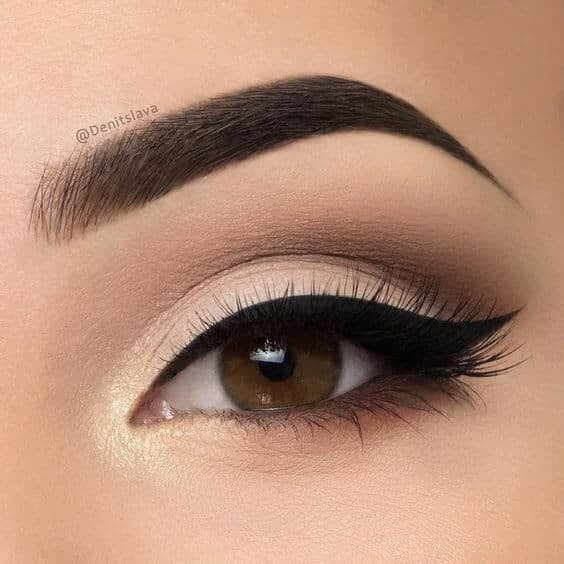 A classic cat eye combined with subtle neutral shadows adds a layer of dimension to this look without overcomplicating it. Dramatic lashes add a level of boldness while the subtlety of the shadows makes this makeup ready for any look. The colors of this look contrast beautifully and create a wonderful shimmering effect. Bright gold in the center of the lower lid brings the whole look together, creating a stunning mirrored effect. Bright turquoise combined with silver creates a shimmering sea-inspired look. A hint of orange to blend creates a beautiful contrast between these two bold colors. 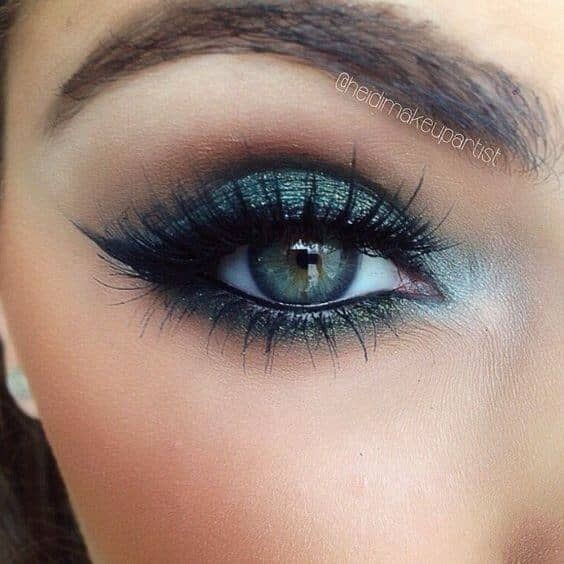 Glittering teal shades combine with darker blues and lighter sea foam tones to create a bold smokey eye. 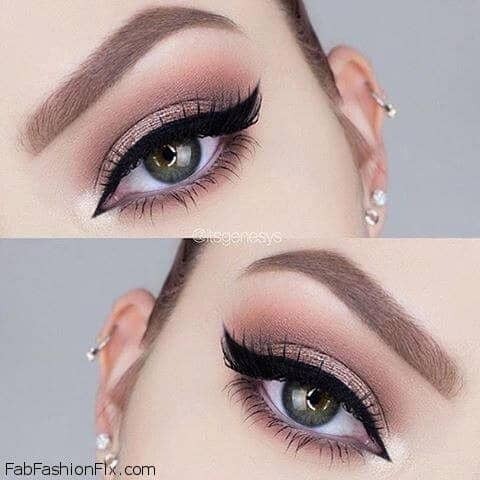 Dramatic lashes complete the look, making the eyes pop. A bright gold shadow adds glamour and sophistication to this classic and timeless look. 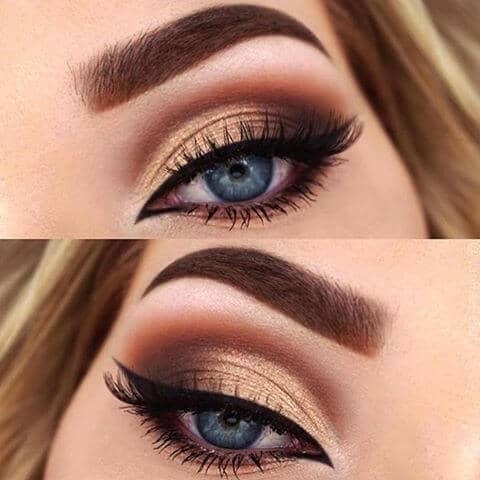 A bold brow and bold lashes add drama to this look and make it a beautiful compliment to any outfit. A bold and glittery gold shadow is the star of this glamorous look. This look is highly dramatic while remaining timelessly beautiful. 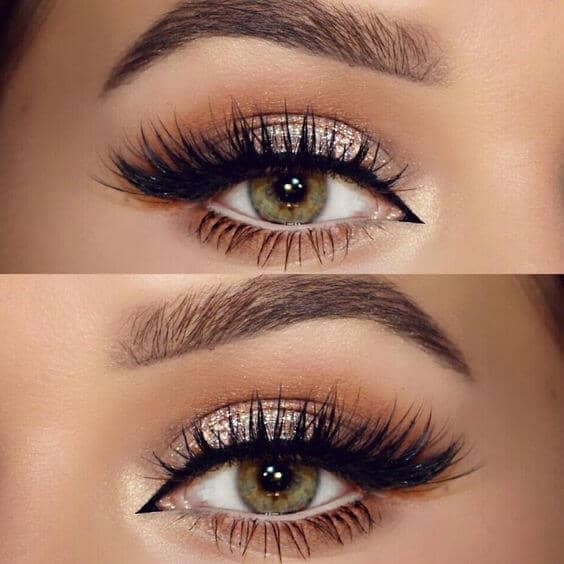 Bold lashes and subtle blending add another layer to this dynamic and shimmery look. Bold lashes are the centerpiece of this look, and subtle shimmering neutral shadows compliment them perfectly. The neutral shades allow the bold lashes to be the star while still adding shimmer and glam. 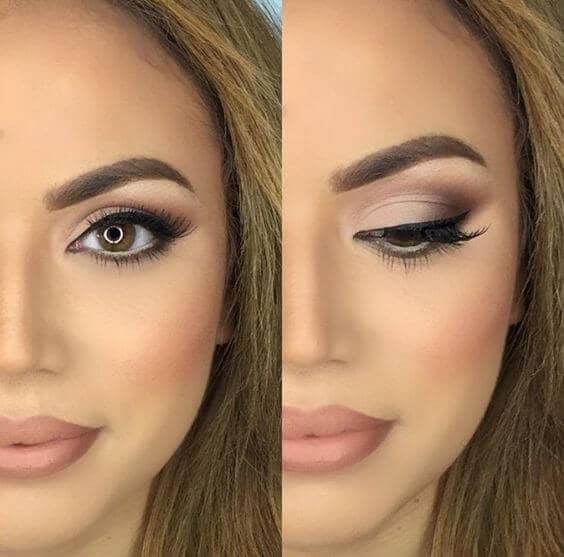 The shadow choices in this look are subtle yet shimmery. Combined with black liner and bold lashes, this look is both beautiful and sophisticated and can be worn with any outfit, day or night. Warm red and brown tones combine with gold shimmer to create a beautiful look reminiscent of the color of autumn leaves. 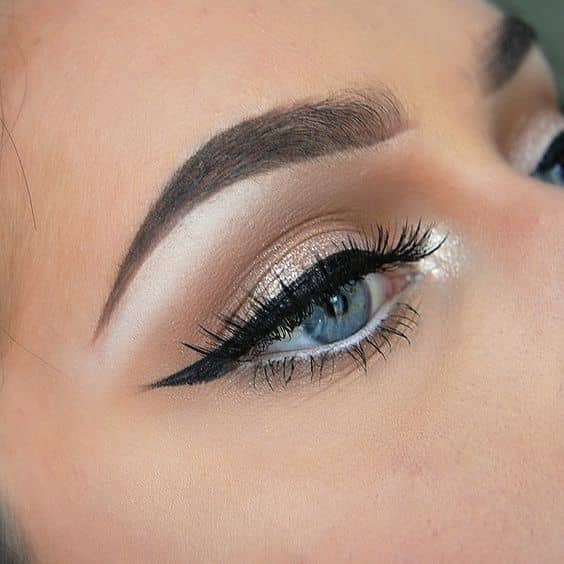 A classic cat eye adds dimension to this gorgeous look, and the warmth of the shadow colors allows this look to be dramatic without feeling overdone. 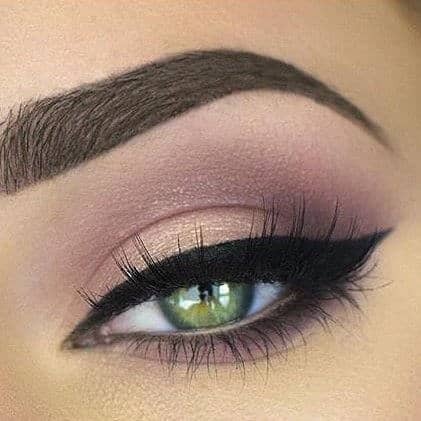 Placing a shimmery color along the lower lash line and neutral mauve and brown tones on the upper lid creates a unique statement. This look is a twist on a classic look and is a beautiful way to try something a little bit different. The rose gold and bronze tones of the glitter work perfectly with the velvety dark brown colors of the shadows. This creates a bold look with colors that are perfect for autumn or winter. A classic cat eye is enhanced by adding black along the lower lash line as well. 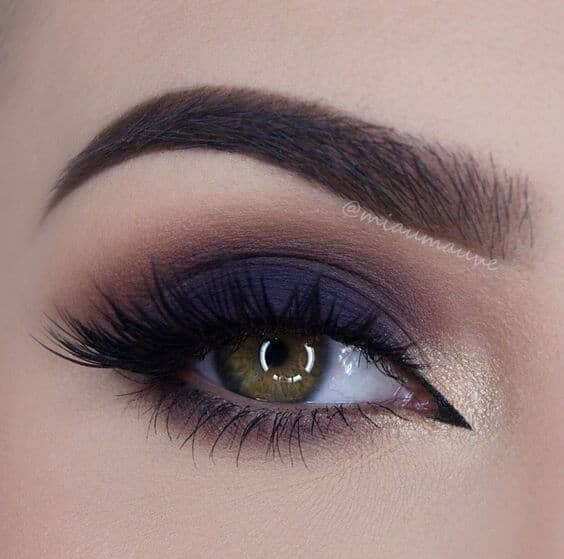 The smokey purple tones in the shadow looks beautiful with any eye color and adds a softness to this bold look. 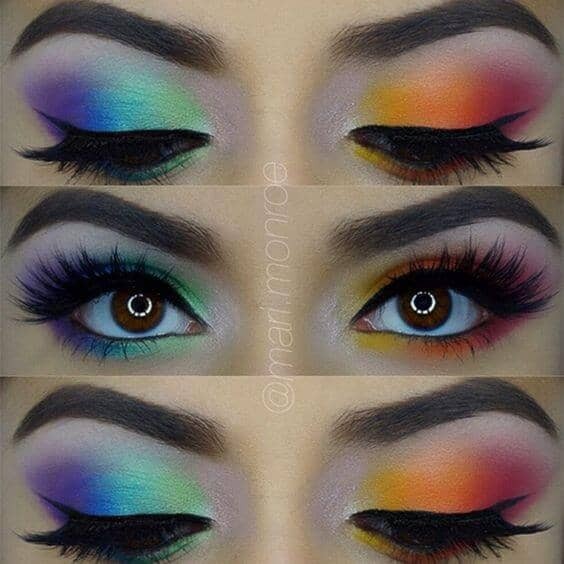 Shadows in all the colors of the rainbow blended together create this soft, bright look. 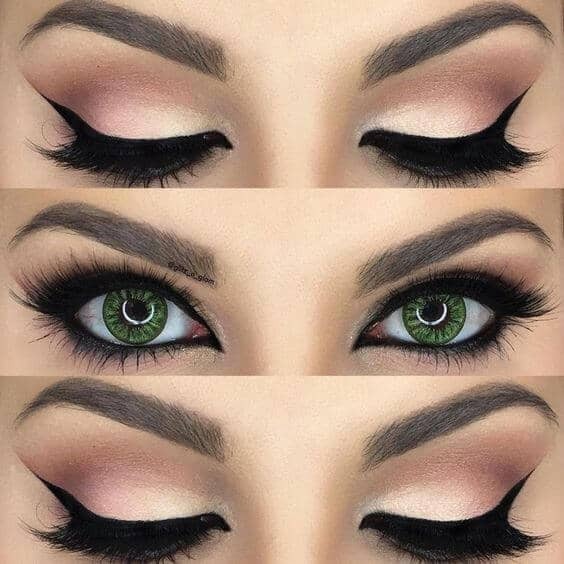 The bold cat eye and dramatic lashes complete this look while making the gorgeous colors the star of the show, making this one of the most unique makeup ideas out there. 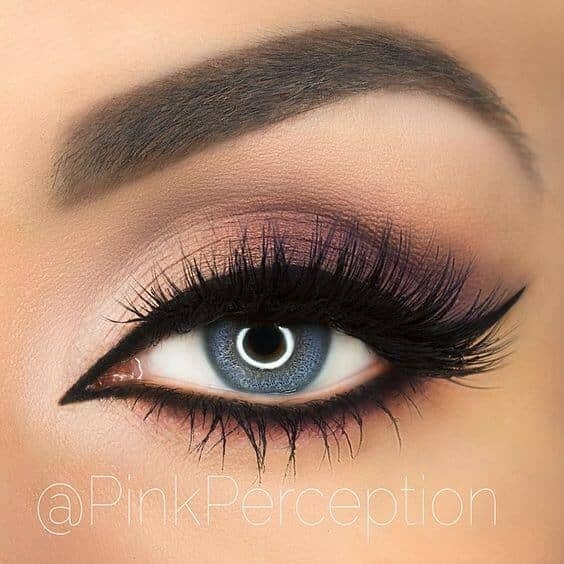 Soft purple and pink tones are the perfect colors to use for a smokey eye. 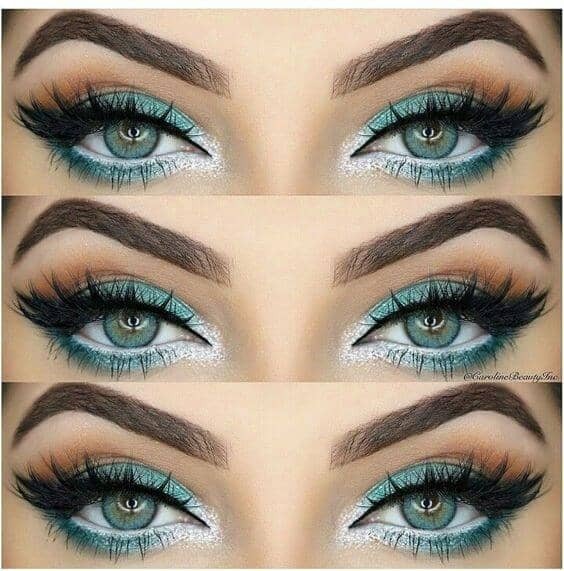 These colors have the same softness as neutral tones but add a pop of color, and look amazing with any eye color. These subtle fawn and purple tones are the perfect addition to this dainty cat eye. 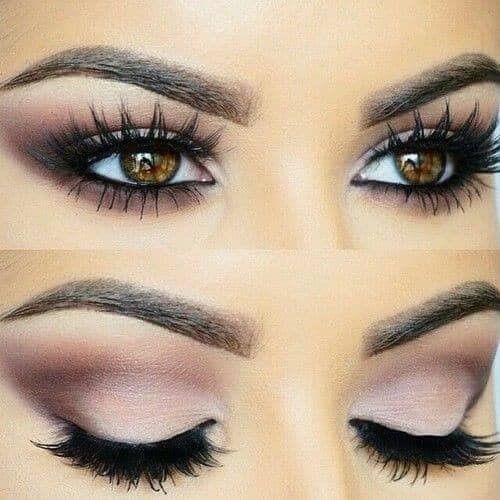 Bold lashes complete this look, and soft gray along the lower lash line frames the eye without overwhelming the subtlety of the colors. 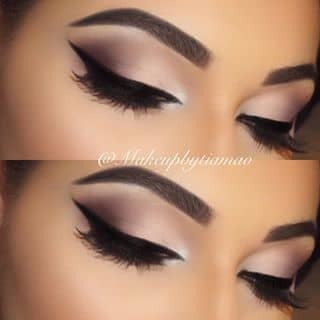 Soft pinks are a beautiful and trendy way to enhance any eye look. They compliment any skin tone and eye color and are the perfect subtle addition to a classic cat eye, creating a lovely day to night look. Sparkling rosy pinks and soft smokey purples create a sultry and glamorous look while still keeping colors bright and summery. 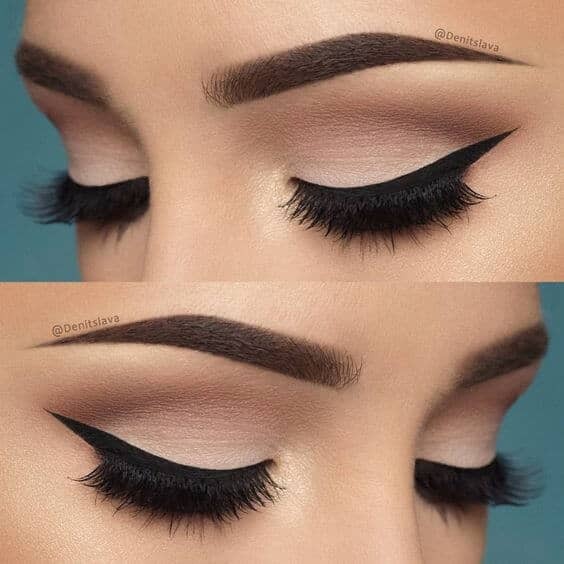 Velvety black liner stands out beautifully against these soft tones. A timeless cat eye look combined with subtle neutral shadows create a soft look with a lot of dimensionality. 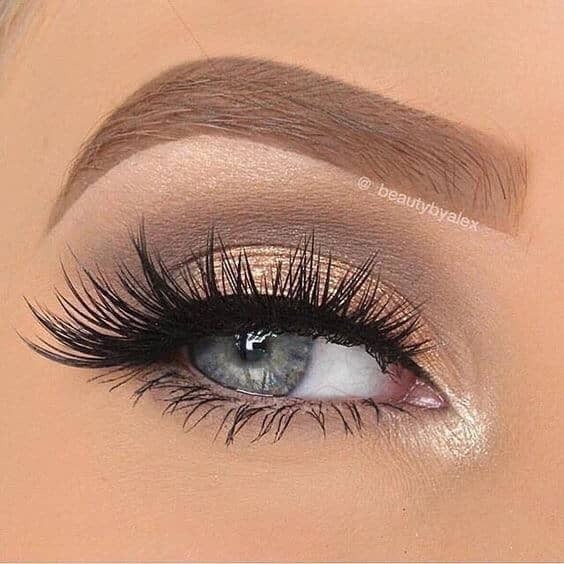 Bold lashes complete this stunning look.